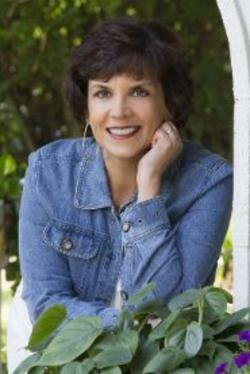 A uniquely qualified professional speaker and consultant, Annette is a Nutritionist and graduate of Biblical Studies. She founded Designed Healthy Living and Design Publishing. Annette's recipe starts with her creative skills from working with churches and Christian organizations, then blends them together to help each group experience flavor and fun while improving their energy and optimal health. Through her stories and lessons audiences will taste and experience how to live the life God designed - full of vitality and abundant living. As a nutrition and health speaker from the biblical perspective, Annette shares how Scripture and nutrition intimately coincide. Each person will enjoy simple take-outs that can be applied immediately to see results. Learn more about The Biblical Nutritionist. Educate the church on TRUE Biblical Health? Take a step into MISSIONS? Our mission is YOU - the PASTOR ~ the MISSIONARY ~ the MOM/DAD ~ Everyone who has a desire to live fully alive and serve God to their fullest! "No matter where I go, I will definitely let peeps know about Treasures Of Healthly Living Bible Study, Nutrition Manual and Healthy Treasures Cookbook! It has blessed me so much and I love how Annette uses the Word of God to give guidelines and not just following some fad diets".